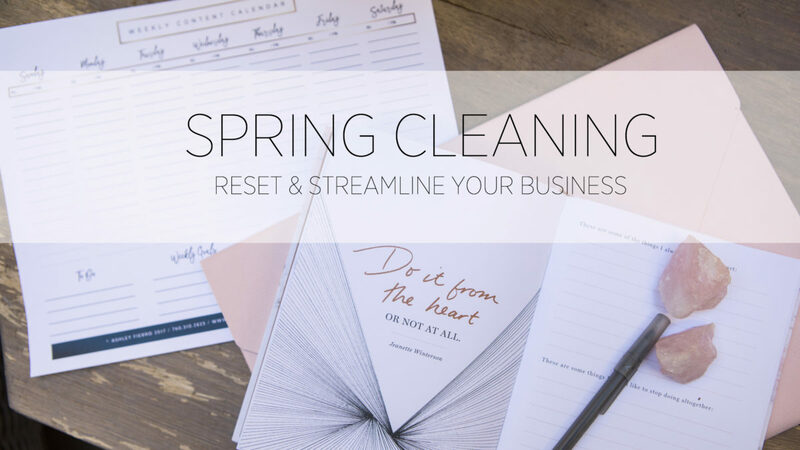 Spring is the perfect time to give your business a once-over! Things are a bit slower, the busy season is upon us, making it the perfect time to shake out old practices and figure out what is working and what is not … to help your business grow in 2018! If you have a workspace or studio, it is time to go through your storage cabinets and start tossing out expired makeup and products. How do your chairs, decor, tables look? Do they need a deep clean or even to be replaced? Look at every nook and cranny of your space and make updates to declutter, spruce up and replace or refresh old work items. Then, get to cleaning! Make everything SPARKLING! You and your clients will notice the difference! Is your desktop looking a little cluttered (or like someone threw up images all over it?)? Time to do a clean sweep. Get your files (digital and paper) in order and put a system in place that you have a reminder to clean them up once a month or once a quarter. Behind on accounting? Get a handle on where you stand with open invoices, what is coming up for the year and getting yourself proactively prepared for tax season. Question? When was the last time that you took an objective look at your brand? Marketing? How are you attracting new clients? How are you maintaining your relationship with existing clients? Do your marketing practices need a little re-vamp? Are you putting marketing as the last thing on your to-do list? Take a good look at your marketing pieces and see where you can streamline the process (aka maybe some new software), test adding in new marketing elements that cost no money (joining collaborative groups on FB, meeting up with local brands, etc). Be dedicated to making updates to your website and social media accounts to keep the content fresh while reflecting your current brand and the clients you want to attract.